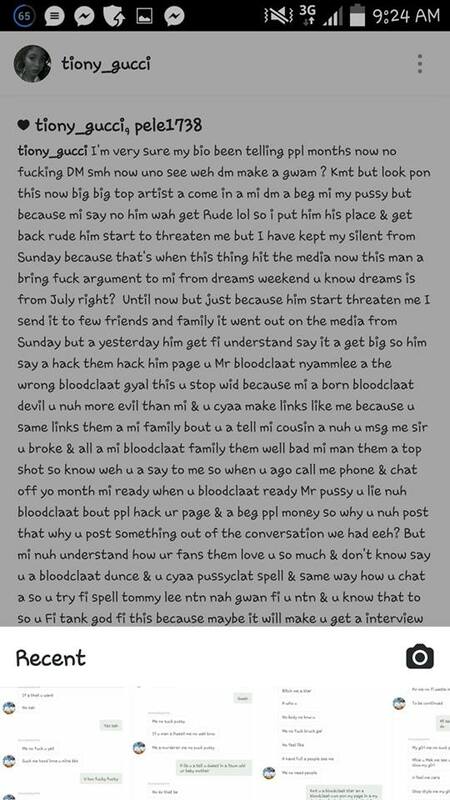 Tommy Lee Sparta says his Instagram account was hacked but the female he was allegedly harassing is calling it BS. 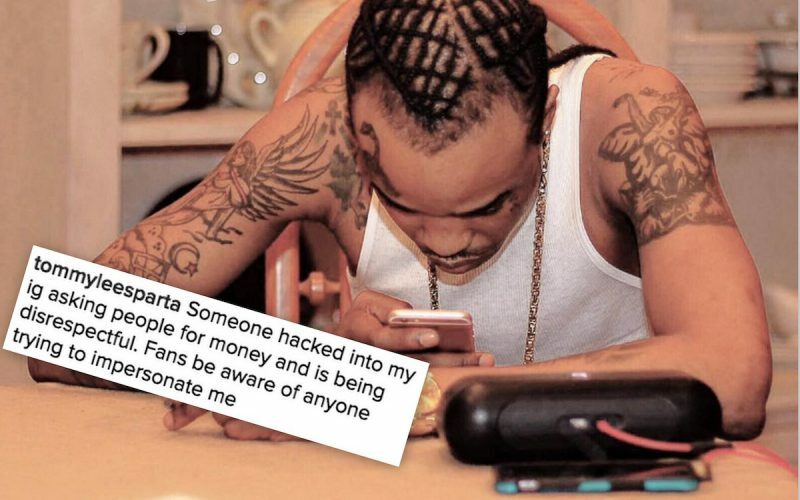 Tommy Lee Sparta is speaking out about some recently leaked screenshot of him direct messaging a female saying his Instagram account was hacked. But now the female who he was asking for sexual favors and subsequently threatening has hit back telling us that he was harassing her for months. “Someone hacked into my ig asking people for money and is being disrespectful. Fans be aware of anyone trying to impersonate me,” Tommy Lee wrote on IG. The female in question insist that it was Tommy Lee himself who was harassing her since around July, but when he started getting rowdy with her that was when she snapped and release the screenshots. Get all the screenshots here.